Introducing Bear Hugs. 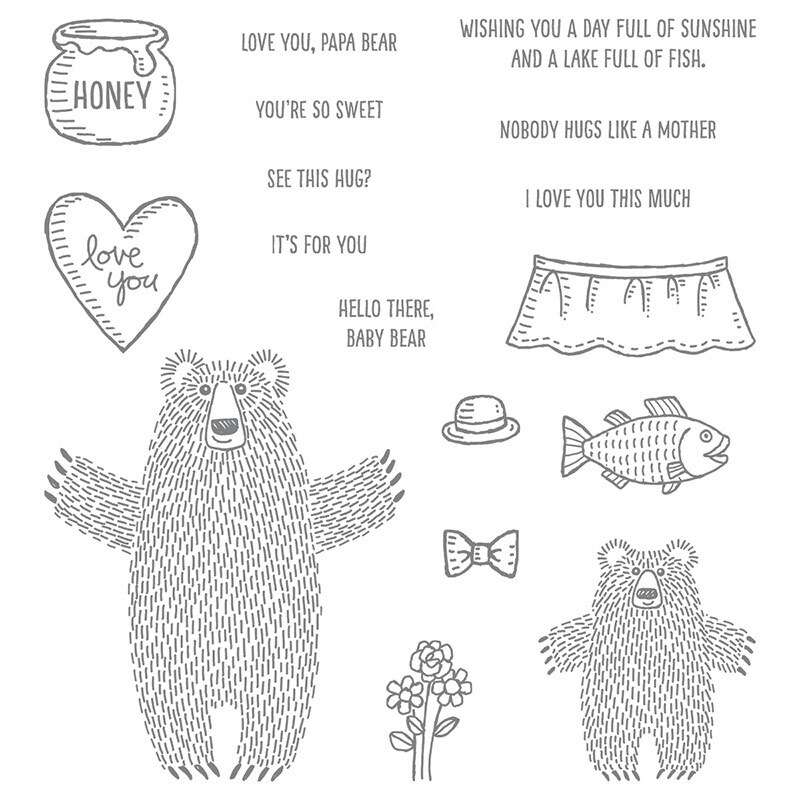 I’ll admit – I wasn’t initially swept away by the Bear Hugs stamp set when I first saw it. It wasn’t on my list, but I needed to use up some Stampin’ Rewards on a recent demonstrator order, so I added it in. Why not? Remember how I told you a while back that it’s good to have everything you might need? It’s true! As I sat down to make a card with this sketch, the ONLY thing I could envision for that peek-a-boo circle was this crazy bear. Glad I had it! I’m pretty sure you’ll see more of him here as we move through this amazing catalog. Sweet Sentiments. The sentiment I created for this peek-a-boo bear is a combination of sentiments from two stamp sets: one is in the Occasions Catalog, and the other is in the Annual Catalog. While we generally say “Peek-a-boo – I see you” I thought “Peek-a-boo – I love you” was stinkin’ cute. Don’t you think so? Maybe we should petition to change that phrase – or maybe I’ll trademark it so that you have to pay me a nickel every time you say it. Hmmm. 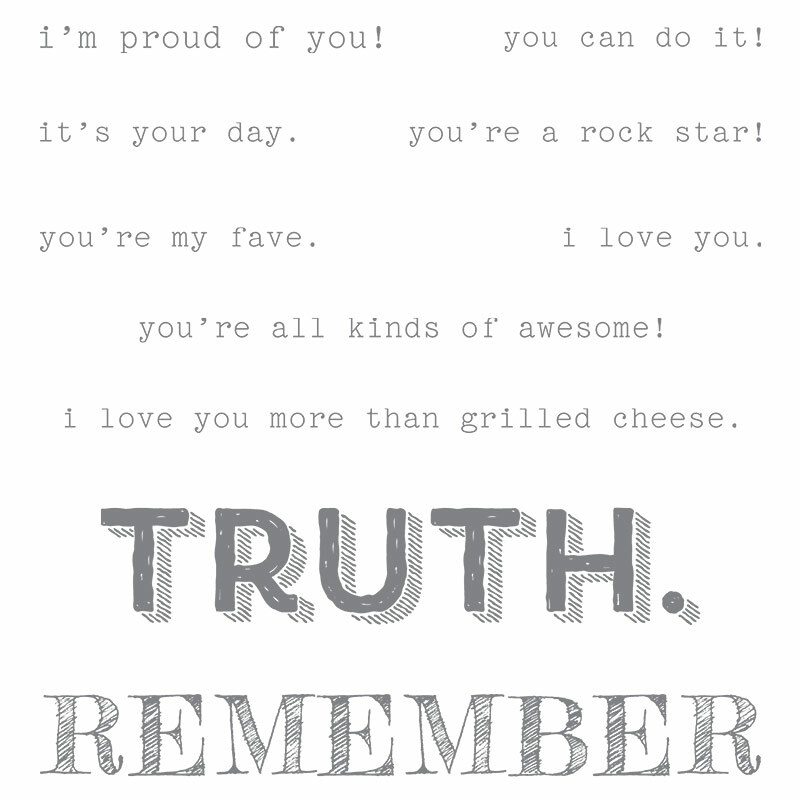 Words of Truth, Stampin’ Up! I hope you’ll pop over to the Pals Paper Arts challenge site to see the cards by the design team members and to play along with this week’s challenge. What is Sale-a-Bration? Do you want to learn more about the huge benefits of the upcoming Sale-a-Bration sales event? I’ve created a blog page to explain it all – click here to learn more. Weekly Deals. Stampin’ Up! releases new Weekly Deals every Tuesday – some of your favorite products at a discount for one week only (or while supplies last). To check out this week’s deals, click here. Year-end Sale. 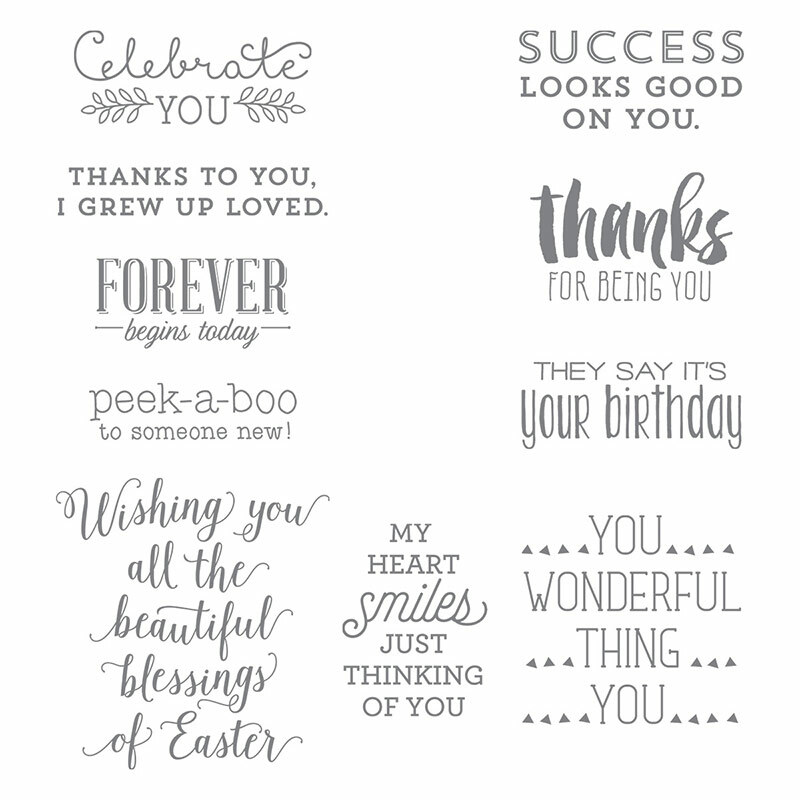 There are still lots of great products available at huge discounts in Stampin’ Up!’s Year-end Sale. To see what’s on sale, click here. Adorable, Brian! Merry Christmas Eve! BRIAN, I WANT TO WISH YOU A VERY MERRY CHRISTMAS WITH YOUR LOVED ONES, ENJOY THEIR WARMTH AND LOVE. MAY 2016 BRING JOY AND PEACE AND MUCH MORE SUCCESS TO YOU, MY DEAR. YOUR CARD IS BEAUTIFUL, WHAT A SWEET BEAR IMAGE, LOOKS FABULOUS PEEKING OUT OF THAT “WINDOW”. PS. I DON’T NOW WHY THE FONT IS ALL IN CAPITAL LETTERS, SHEEESH!! I MUST HAVE PUSH SOME WEIRD BUTTON OR SOMETHING, GOT TO CHECK THAT OUT. Adorbs for certain! Sweet, innocent and fun. Brian Even though I still owe you for some squinting, I’m ready to add on a nickel for this fun phrase. Merry Christmas and thank you for helping fellow demonstrators with your daily beautiful ideas. Oh Brian – that card is just darling. I love the way the bear’s hand surpasses the center panel. Plus, the look on that bear’s face is just too cute. What a great card, what a great set, what a great Brian creation. Wishing you and all your loved ones a Merry Christmas and a Healthy, Happy and Prosperous 2016! Oh how fun and what a smile you brought to my face! Love the heart DP too. Just too much fun! I was not interested in this set either. You’ve changed my mind. You do that…a lot! ? This is just too cute for words. The color combo is perfect and I love how the bear is leaning, like he’s popping in. Adorable! I love this set- and now I love it more! Awesome card! Now THAT is adorable!! One of the best I’ve ever seen. Merry Christmas! Simple perfection. You sure know how to “rock” the bears! I look at a set and thumb right past it in the catalog … then I see it used, and I think I might *need* it … fantastic sketch design. So adorable Brian! Happy New Year to you and your family! Brian, you did such a nice job with this stamp set and the sketch. Perfect combination. Aww, he’s so cute Brian! TFS! Hello Brian. Your bear is too cute. Great color combo. Happy New Year. I ADORE YOU. I actually cried when I read this post and I’m so sorry it’s taken this long to come and comment. I re-read it again and I’m crying again. I do love my pink and crumb cake, I love this card, but I love you more. I would love one of your bear hugs right now!